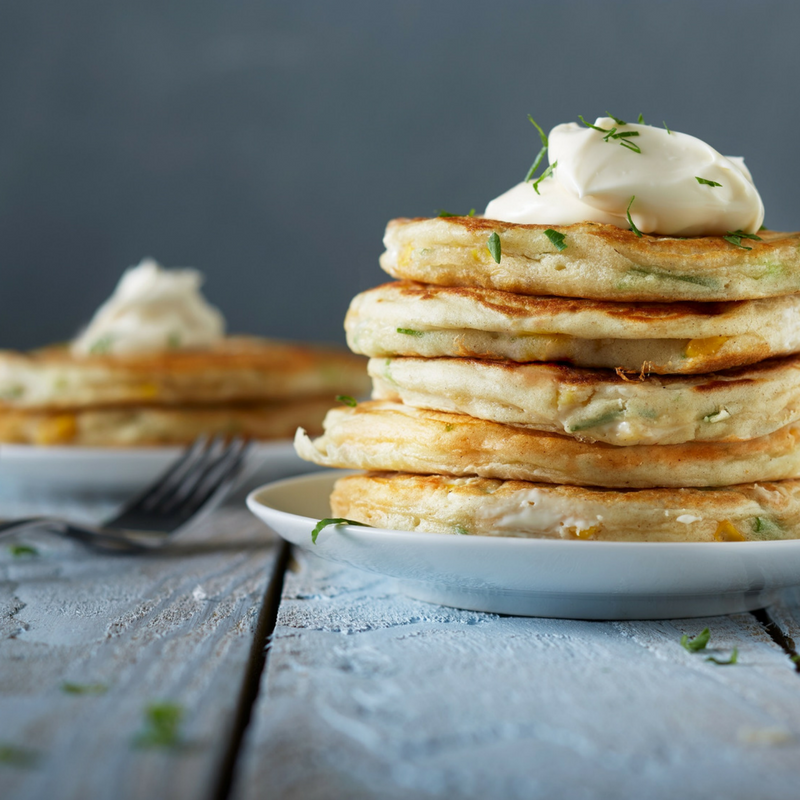 Primula cheese pancakes with sweetcorn and spring onion. We’ve got the perfect pancake for any time of day, if you’re like us and prefer the savoury option. These scrumptious little numbers are a delicious alternative to the classic sweet pancake and are so tasty you won’t want to banish them to Pancake Day. Yields: 10 thick pancakes about the diameter of a coffee mug. Whisk together oil, milk and egg. Add the dry ingredients, whisking until blended. Stir the sweetcorn and spring onions into the pancake batter. Add in Primula Cheese in pea-sized lumps and stir carefully to avoid blending the cheese into the batter. Dollop 2 tablespoons per pancake into a frying pan over a medium heat with a little butter or vegetable oil. Cook until well-browned on one side. When the top starts to bubble, flip the pancake and leave until cooked through. Dress with a spoonful of Primula Cheese and a sprinkling of chopped parsley. Recipe courtesy of Primula Cheese – perfect for Valentine’s Day. I Wasn’t Expecting That! Were You? 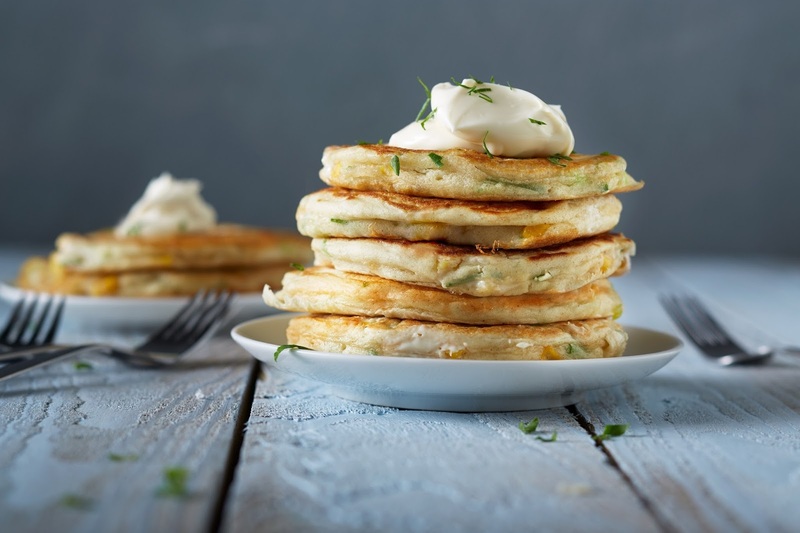 What do you think of this Cheese and Sweetcorn Savoury Pancakes recipe? "Mojito Lime Marmalade With A Hint Of White Rum"
"Happy Cheese Lovers Day : Welcome To The Weekend Blog Hop.."